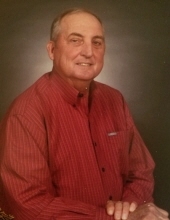 Seneca –Don Morris Stone, 66, of 340 Cody Road, passed away, January 23, 2019, at his residence. A native of Oconee County, he was the son of the late Grady Medford Stone and Nell Barker Stone. Mr. Stone was employed as a warden with the South Carolina State Forestry Commission. Don was a cattle and poultry farmer and served in the Army Reserves. He attended Earle’s Grove Baptist Church and was a member of the choir. Mr. Stone is survived by his sons, Jed Stone (Stephanie) and Nathan Stone; daughter, Hannah Snover (Michael); brothers, James Mendel Stone (Linda) and John Barker Stone (Dawn); sisters, Marcetta Black (Joe) and Vonda Manley (the late David); two grandchildren, Raegan Stone and Brayden Stone. A funeral service will be held at 4 pm, Sunday, January 27, 2019 at Earle’s Grove Baptist Church with burial to follow at Earle’s Grove Cemetery. The family will receive friends 2-4 pm, prior to the service at the church. The family is at the residence. Flowers are accepted or memorials may be made in Mr. Stone’s memory to Earle’s Grove Baptist Church, 398 Cedar Lane Road, Westminster, SC 29693. Condolences may be expressed online by visiting www.sandiferfuneralhome.com. To send flowers or a remembrance gift to the family of Don Morris Stone, please visit our Tribute Store. "Email Address" would like to share the life celebration of Don Morris Stone. Click on the "link" to go to share a favorite memory or leave a condolence message for the family.